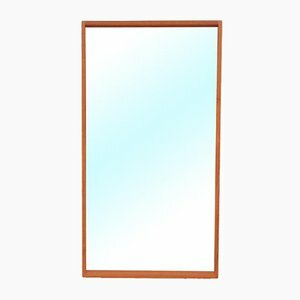 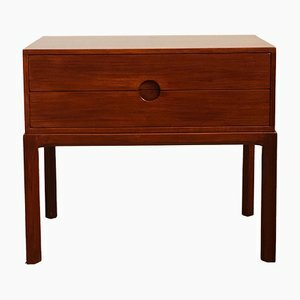 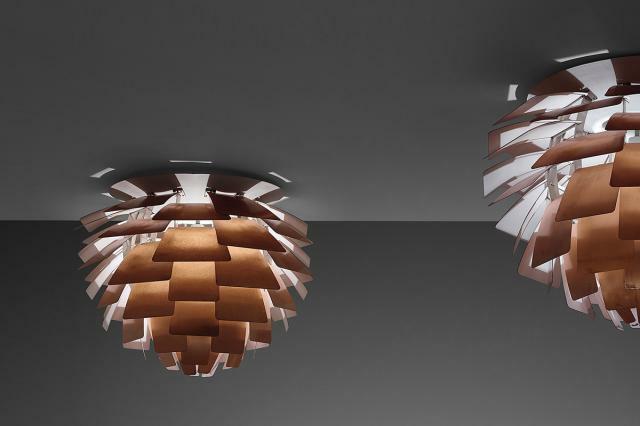 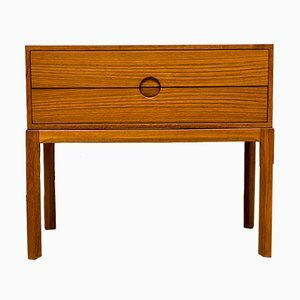 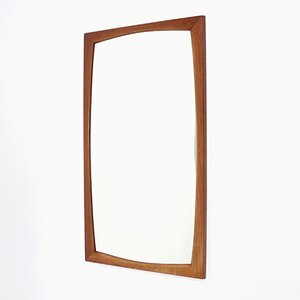 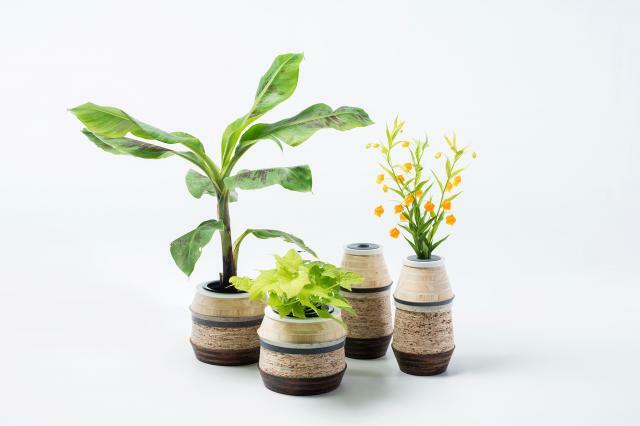 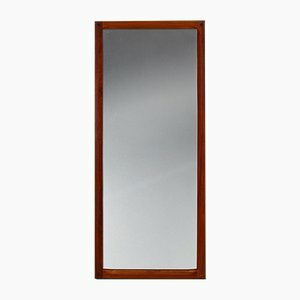 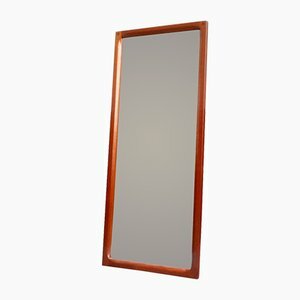 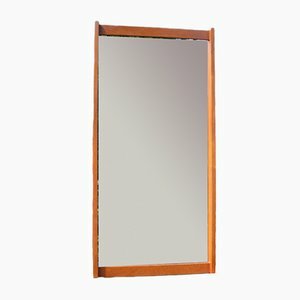 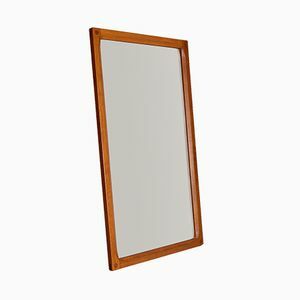 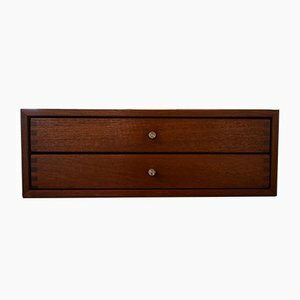 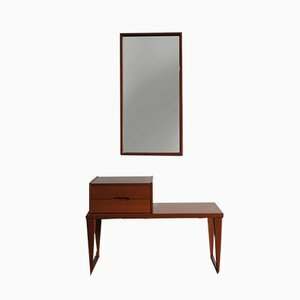 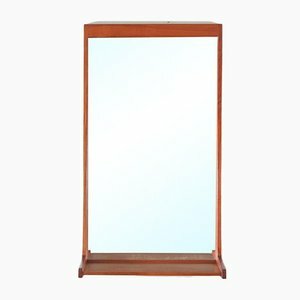 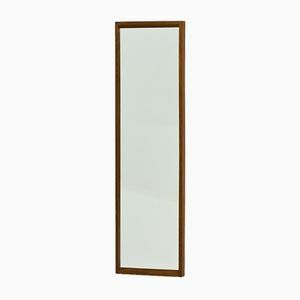 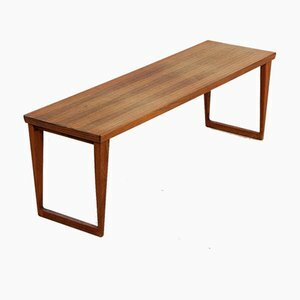 This piece is made of teak veneer with many solid wood elements. 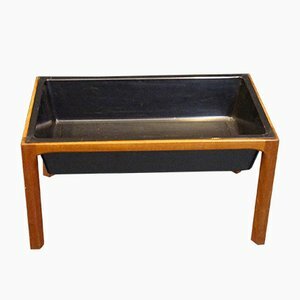 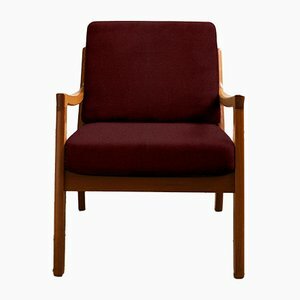 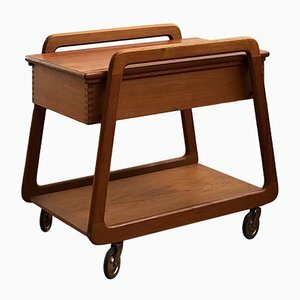 It features very high quality craftsmanship - especially the handles, solid feet and edging. 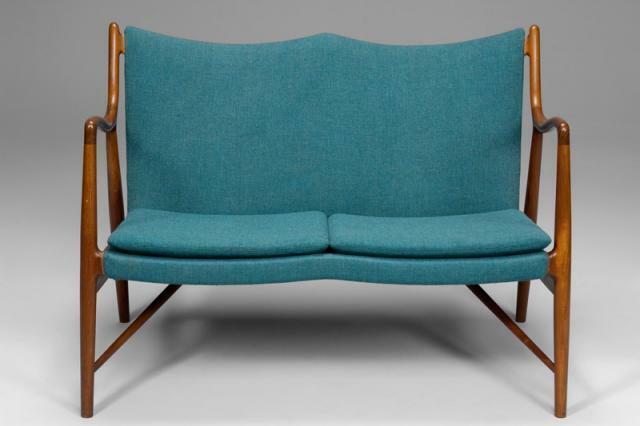 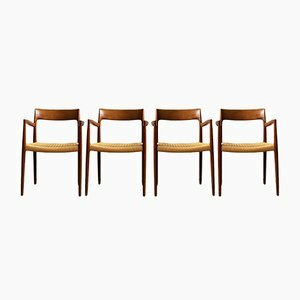 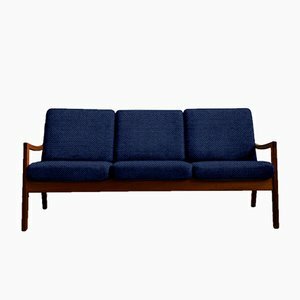 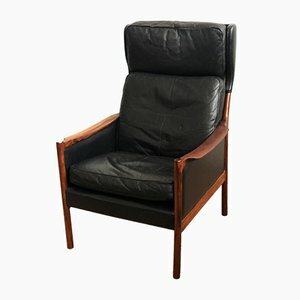 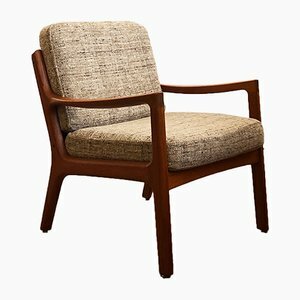 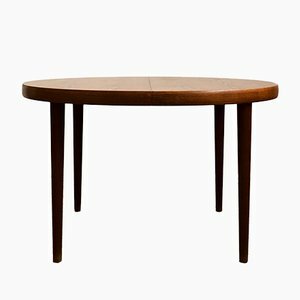 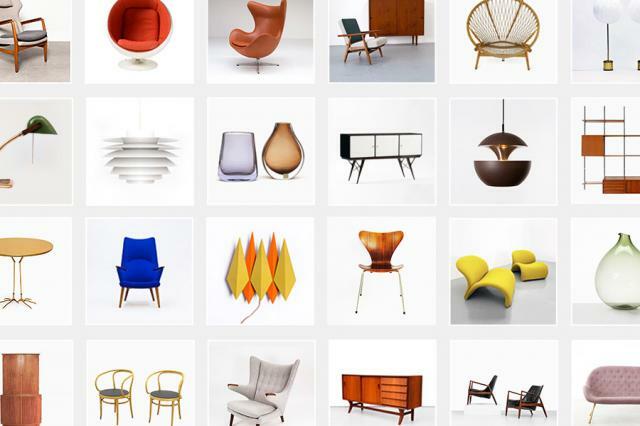 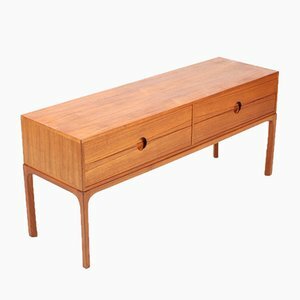 Both a designer and a manufacturer, Aksel Kjersgaard created and produced furniture at the height of the Danish mid-century modern movement. 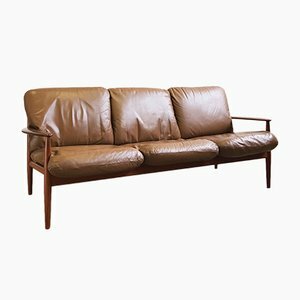 In 1952, after working and traveling through Europe and Morocco, Kjersgaard returned to Denmark and established his eponymous production company. 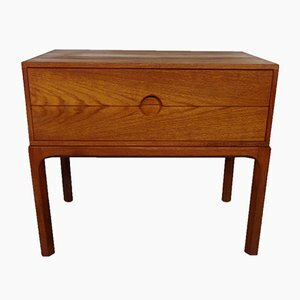 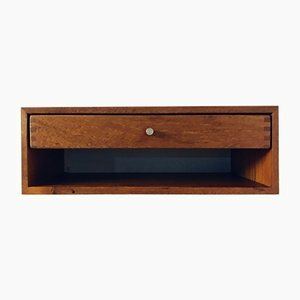 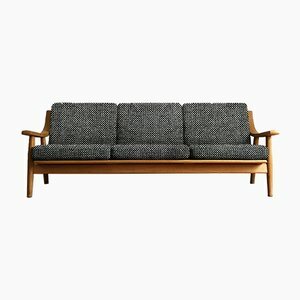 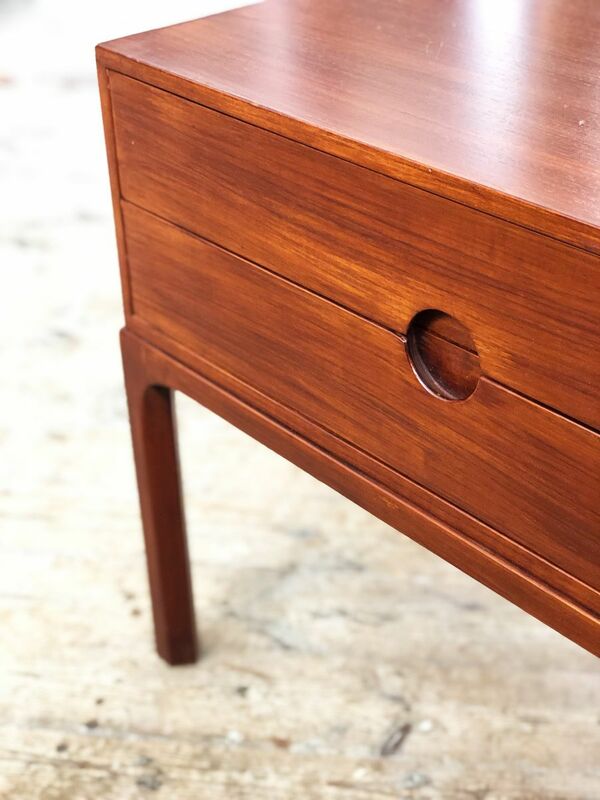 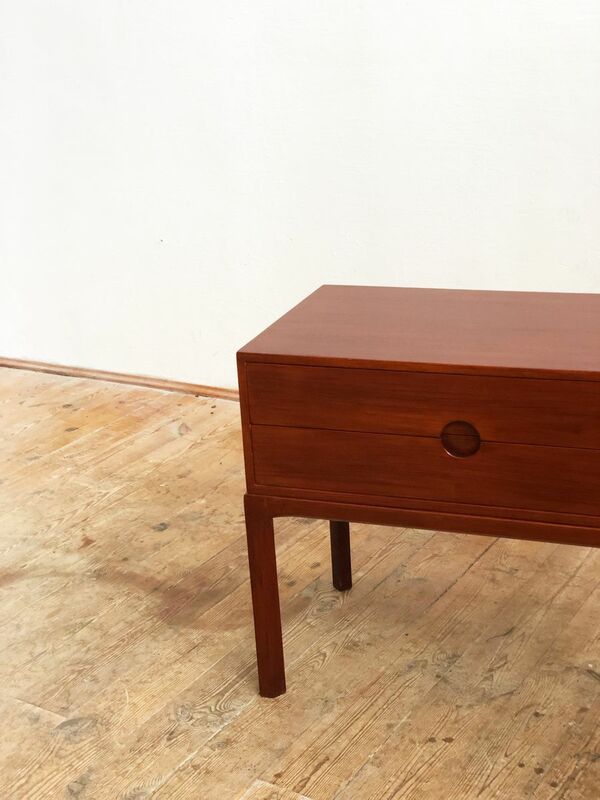 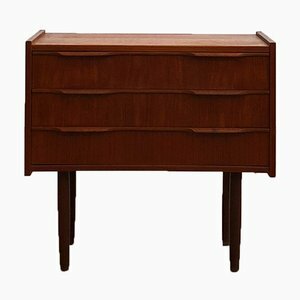 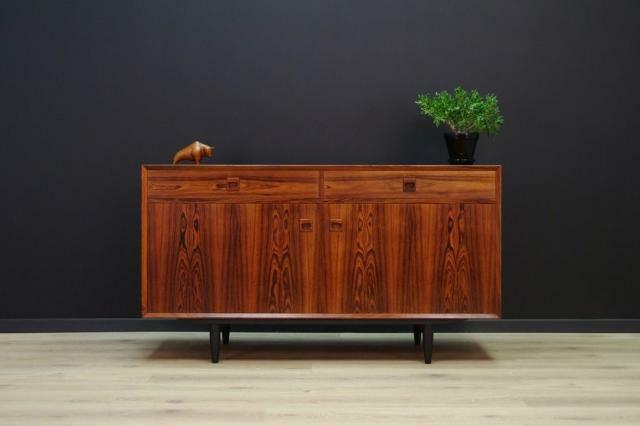 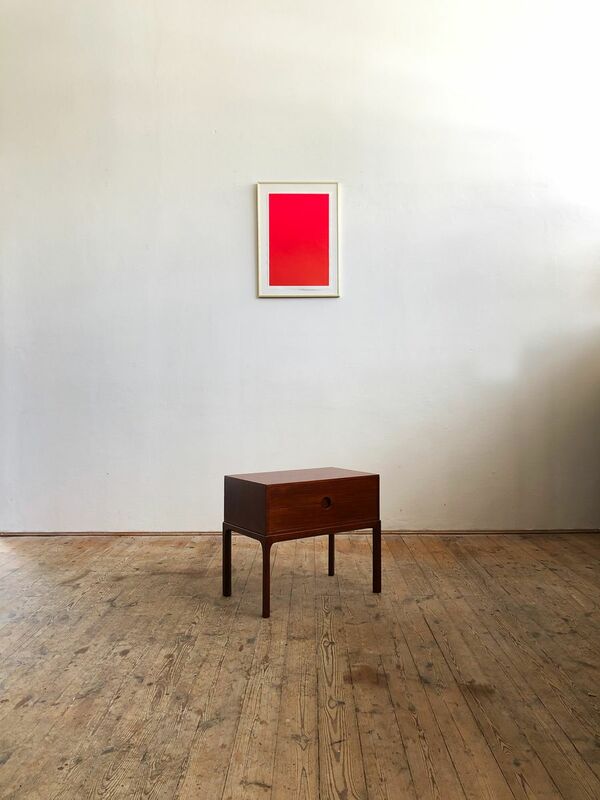 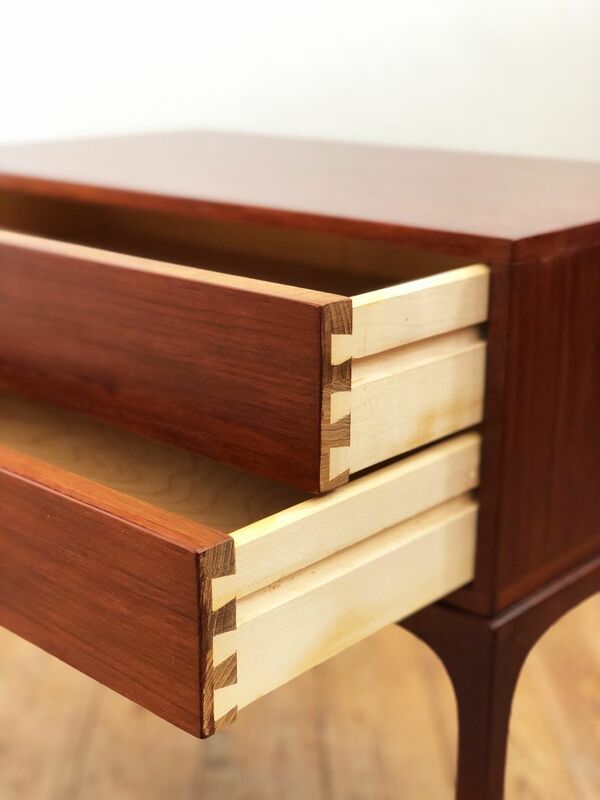 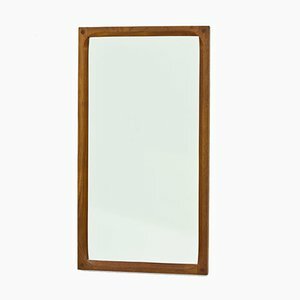 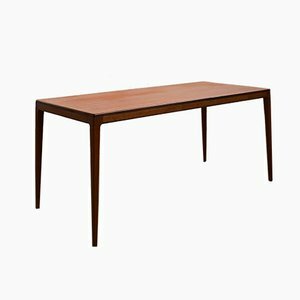 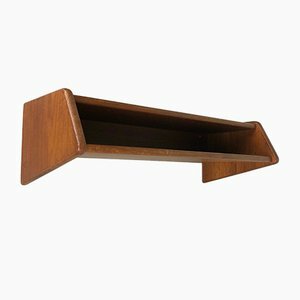 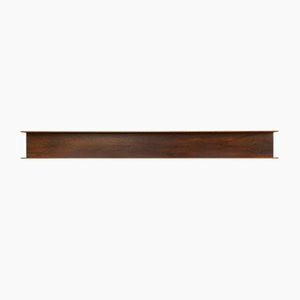 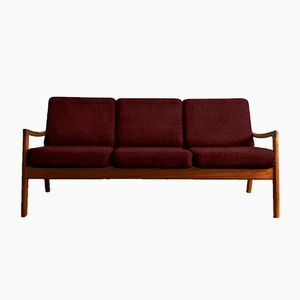 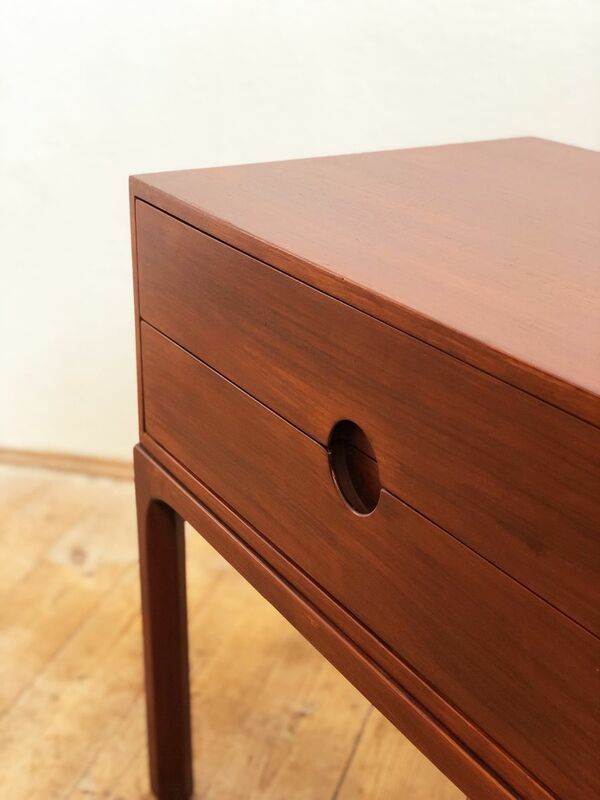 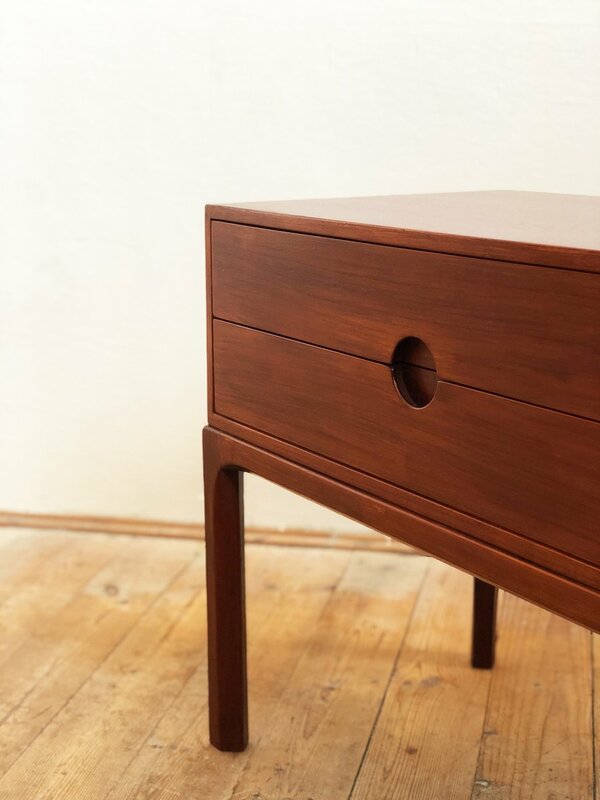 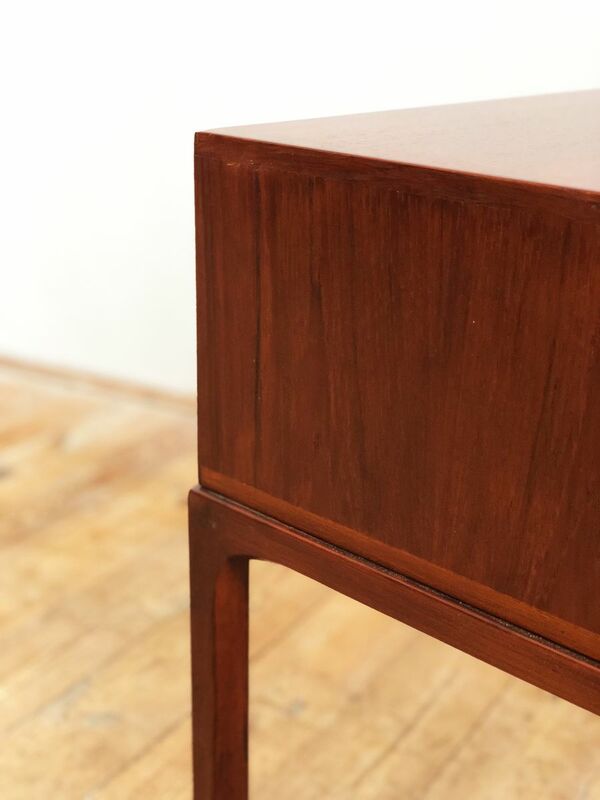 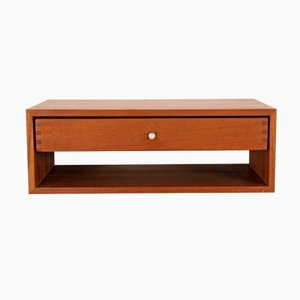 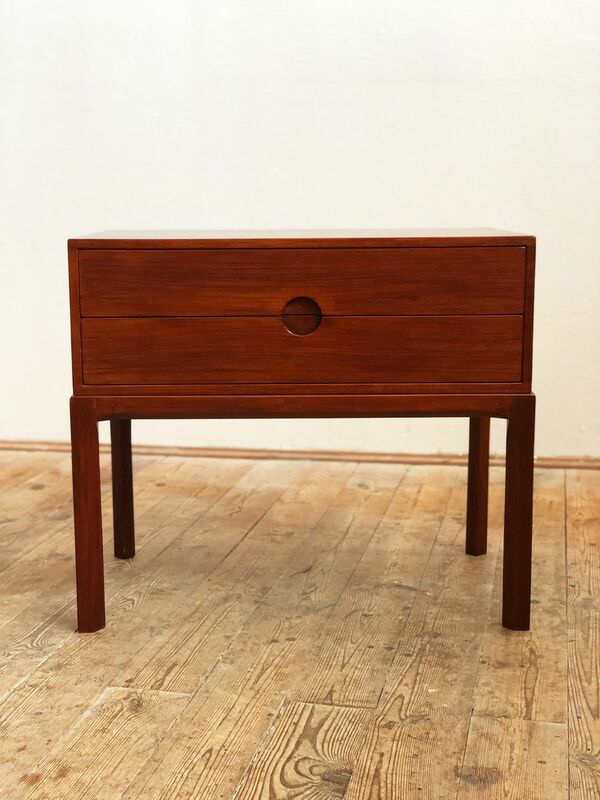 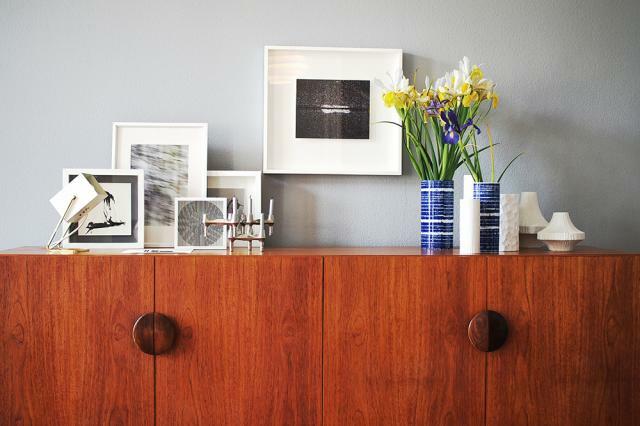 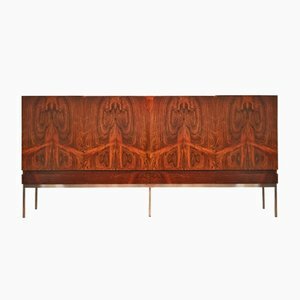 In 1955 Aksel Kjersgaard A/S began producing cabinets , dressers , consoles , and sideboards — carrying all the hallmarks of Danish Modernism—in woods with beautiful grains such as rosewood and teak; and featuring clean lines and a minimalist aesthetic. 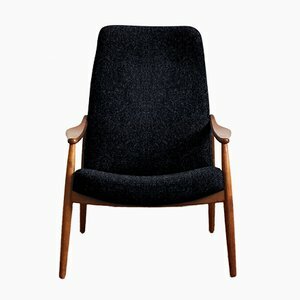 Kjersgaard collaborated with iconic Danish designer Kai Kristiansen in the 1950s and ‘60s, and Ebbe Gehl & Søren Nissen from 1970, both of whom had previously worked for Rud. 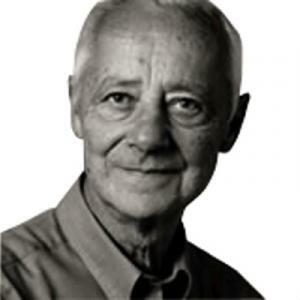 Rasmussen in Copenhagen. 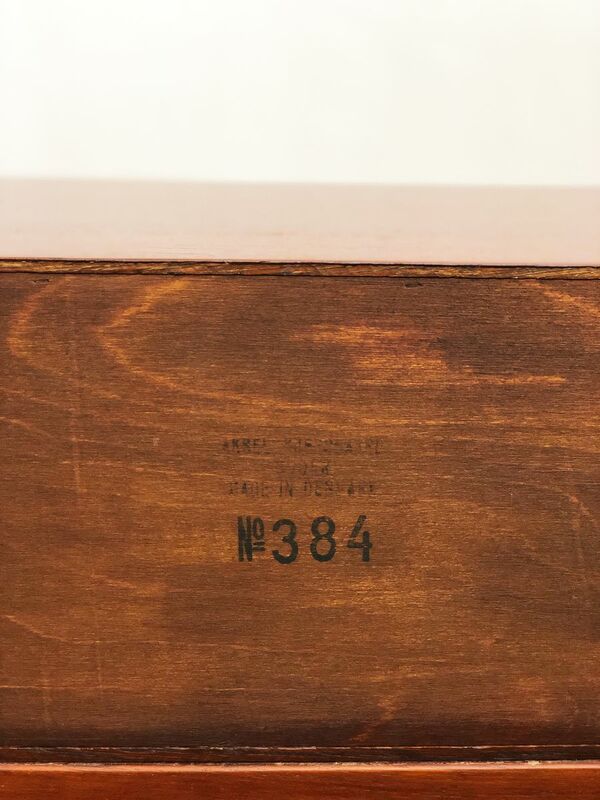 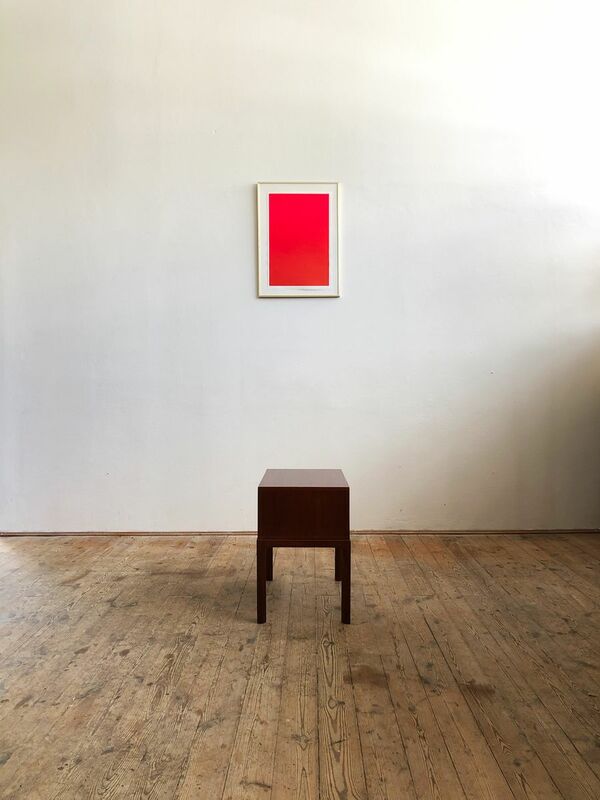 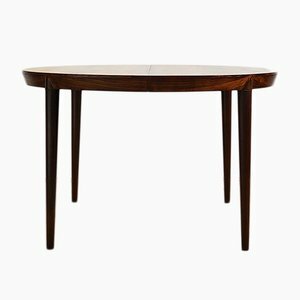 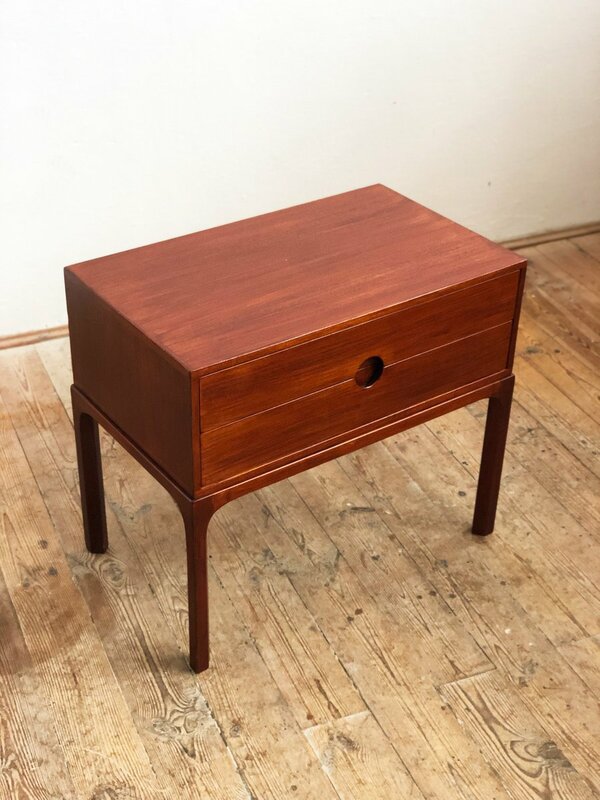 Although there are few production dates or model names available, Kjersgaard’s works are stamped and/or numbered, making them easy to identify and desirable on the vintage market. 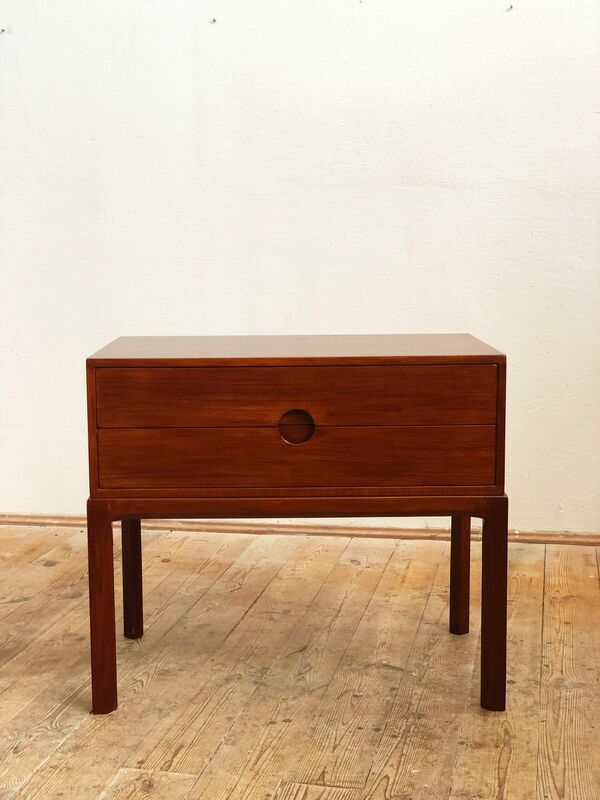 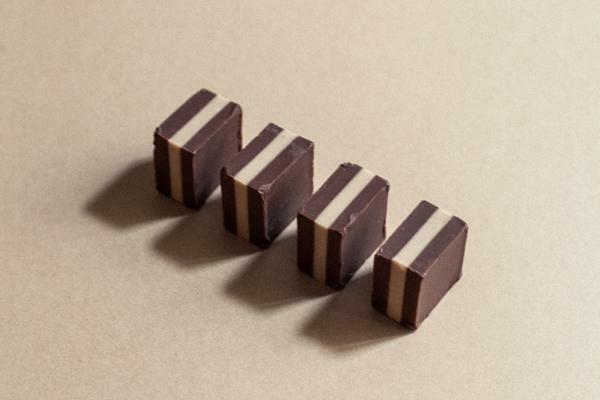 In fact, many pieces are stamped “Odder”, which is an indication of provenance not production (despite many incorrect attributions): Kjergaard designs were (and continue to be) produced in the Danish municipality of Odder. 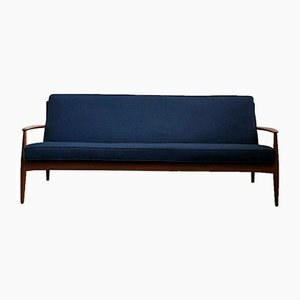 As both as designer and a manufacturer, Kjersgaard’s contribution to the Danish (and Scandinavian) design history is undoubtedly important. 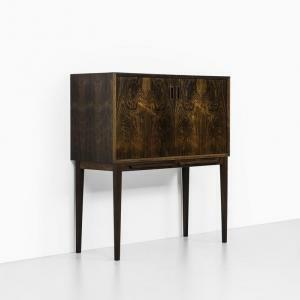 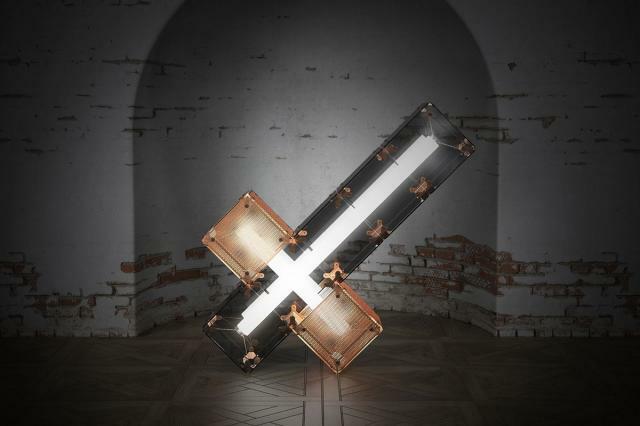 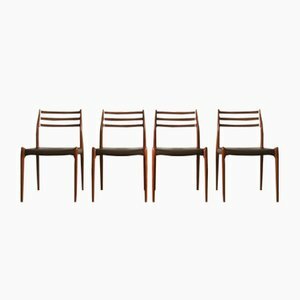 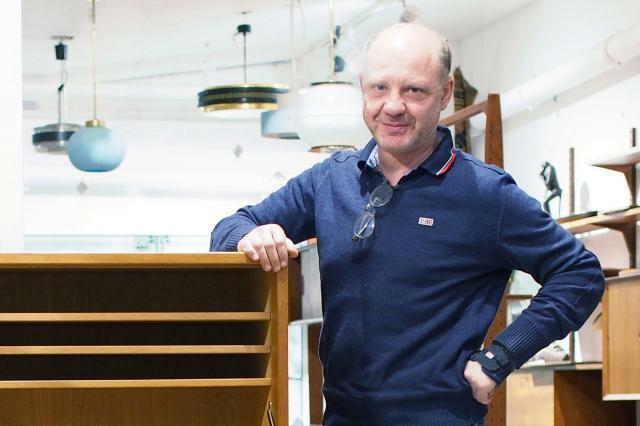 Today, Aksel Kjersgaard A/S is run by his son and continues to produce furniture under the name Naver Collection.